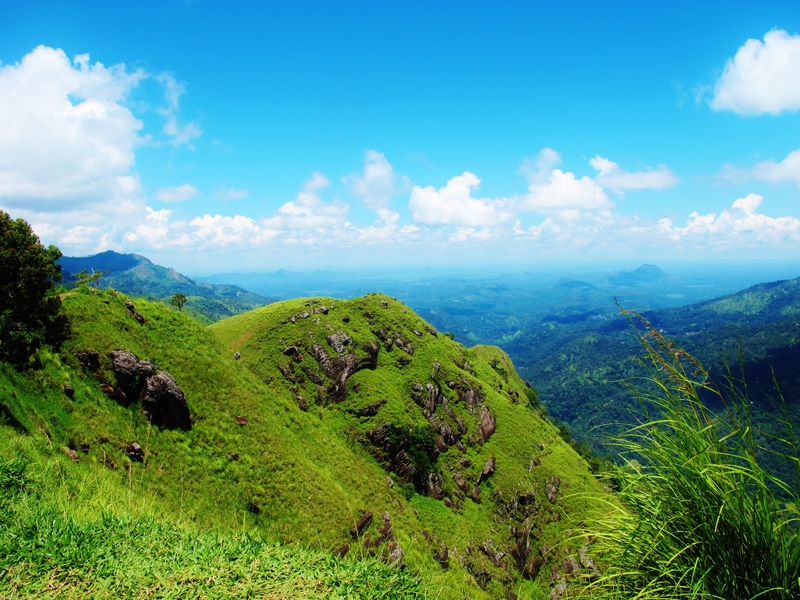 Little Adam’s Peak, near Ella, Sri Lankan highlands. Extensively deforested and replanted with tea and non-native tree species, the area is nonetheless fairly rich in bird life. We rounded off our three-week Sri Lanka trip with a couple of days in the highlands, based in the small town of Ella, where I was hoping to add a few of the higher-altitude endemics to my list. 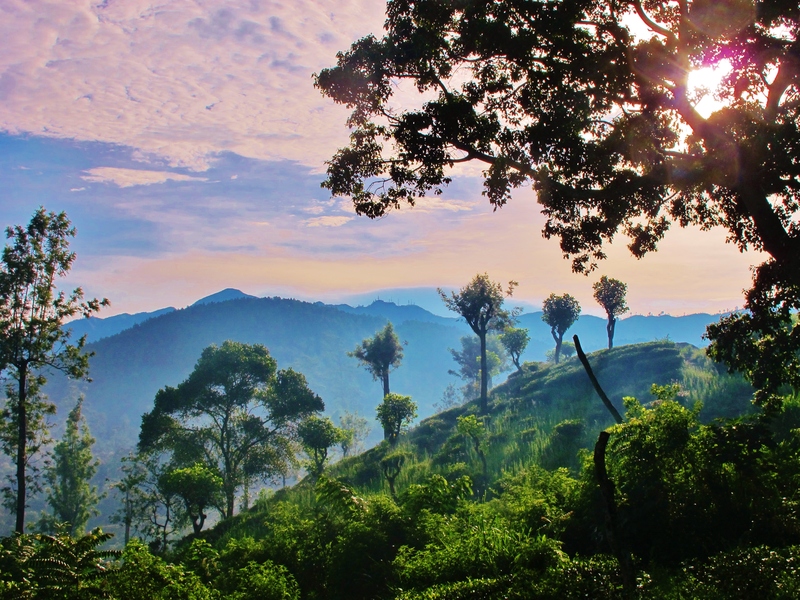 On arrival, the landscape initially looked rather unpromising, with no original forest to be seen, extensive tea plantations, and non-native trees including the dreaded Eucalyptus much in evidence. However, as it turned out I was pleasantly surprised by the number and variety of birds – including several endemic species – that were in the area. In just two days I recorded 61 bird species, most of them within a short walk of our guesthouse, Ella Nature View Lodge. 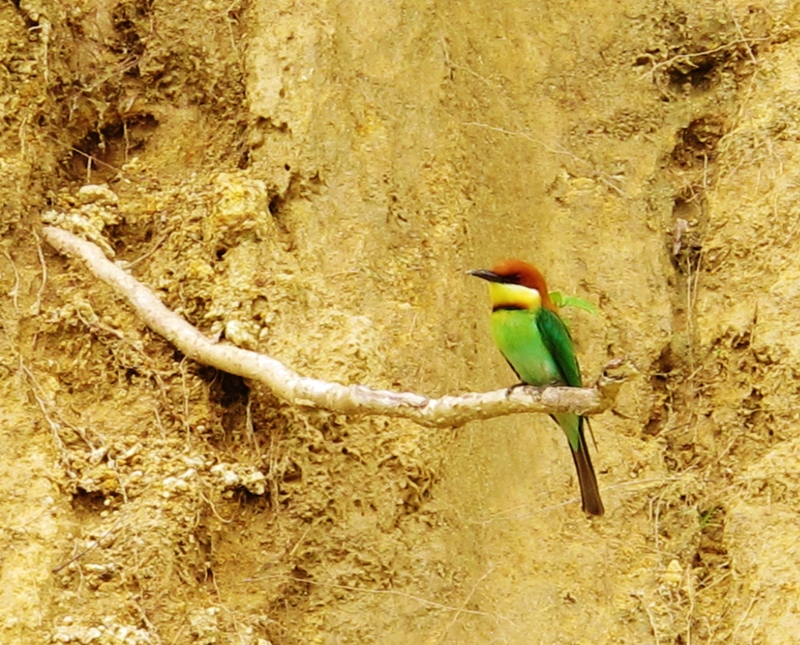 Chestnut-headed Bee-eater near its nest site along the Ella railway line. Layard’s Parakeet – two pairs seen. Sri Lanka Hanging Parrot – excellent views of a pair. Crimson-fronted Barbet – fairly common. Sri Lanka Junglefowl – commonly heard, seen once. Common Hawk-cuckoo – heard only. Booted Eagle – one, presumably late passage bird. Crested Serpent Eagle – common. Oriental Honey Buzzard – common. Yellow-crowned Woodpecker – pair near our hotel. Lesser Yellownape – one in trees along railway. Black-rumped Flameback – fairly common. Asian Paradise-Flycatcher – several including a long-tailed male. Indian Robin – several pairs in rocky areas. Ashy Prinia – several on territory near hotel. Sri Lanka White-eye – fairly common. Small Minivet – fairly common. White-browed Fantail – fairly common. Sri Lanka Swallow – common. Indian Scimitar-Babbler – several along railway. Tawny-bellied Babbler – fairly common. Yellow-eyed Babbler – several at margins of tea plantations. Tea plantations in the early morning sunlight. Lifers: Yellow-crowned Woodpecker, Black-headed Cuckooshrike, Sri Lanka White-eye, Yellow-crowned Barbet, Ashy Prinia, Layard’s Parakeet, Jerdon’s Leafbird, Indian Scimitar-babbler (total 1,903). Year ticks: Yellow-eyed Babbler, White-browed Fantail, Small Minivet (total 601). 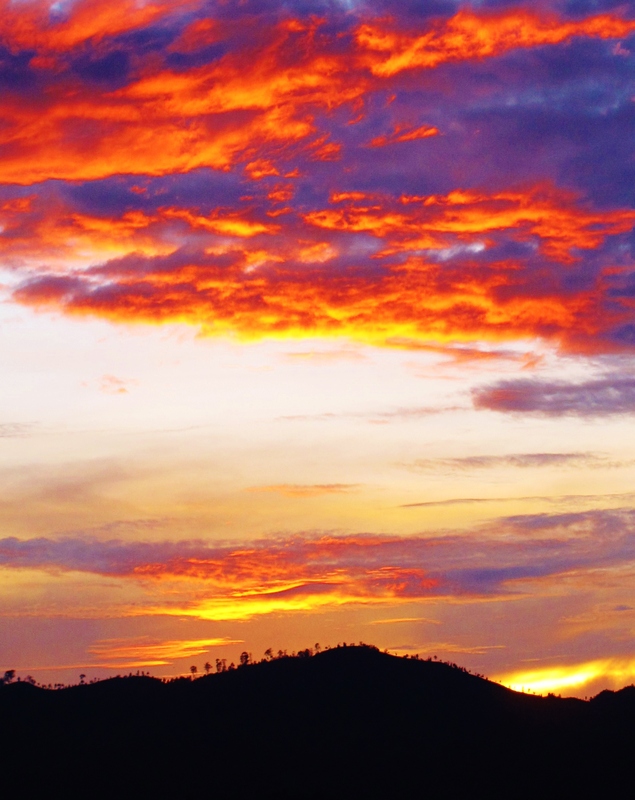 Fiery sunrise from our lodgings in Ella.